Ask any entrepreneur who has successfully raised funds, and they would be quick to point out that fund raising is an extremely complex process, and a dedicated outbound sales process. As of now, the entire fund raising happens offline. Challenging the status quo, LetsVenture has been launched in Sept 2013 by Shanti Mohan, Sanjay Jha & Manish Singhal. All of them come from different backgrounds in the tech industry and have cumulatively around 60 years of global experience spread over several product startups & MNCs. 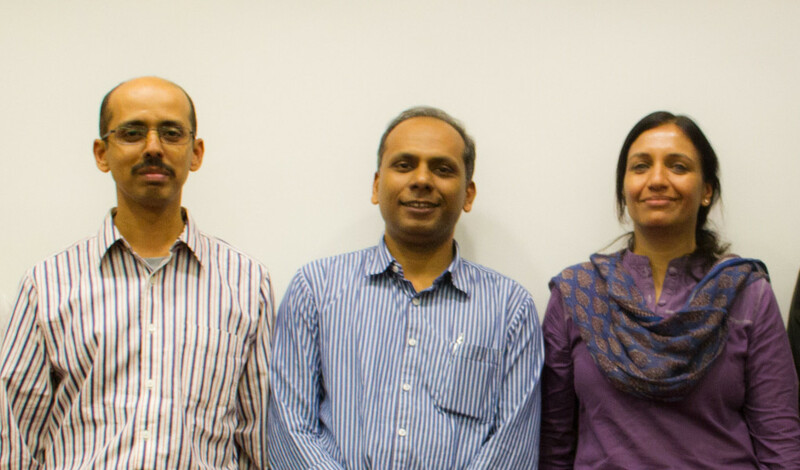 Additionally Shanti is a budding angel investor and Manish has been an active angel investor for the last few years. LetsVenture platform helps entrepreneurs raise seed, angel and VC funding on their platform, and has online and offline component to it. In the online component, we have 3 main players – Entrepreneurs, Investors and Experts. Entrepreneurs create their single-page profile, providing information Investors would look at before considering a venture. This includes Investor Deck and Founder Video Pitch among other things. 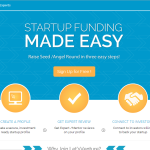 When the startup is ready to raise funds, it’s as easy to just click a button. The startup is then visible to potential Investors who may wish to express interest, or ask more questions to understand more about the startup. An interested Investor can make a commitment online, and can express interest to contribute in a syndicate. Experts are by invite only, and are usually people willing to help startups with their expertise in a specific field. Once all the commitments are made online and the startup reaches the target of it’s fund raising campaign, LetsVenture has an offline component called Commitment to Closure package to back it up. This package helps Investors and entrepreneurs with due diligence and the entire funding process offline. This is an excellent continuation to the online commitments, and ensure that startups do really get money in their bank. With a recent feature launch at LetsVenture, Startups can have their public profile created with basic information such as Startup Video, Team Info, Product Info, Media & Timeline tabs. The financials and funding ask will not be shown on the public profile. This helps startups curate all their information at a single place and just share the link whenever required. We talk to the LetsVenture team to understand more about the platform, learnings so far and when is the good time to raise funds. What is the vision behind launching LetsVenture? Manish: Currently, Indian Angel base is around 300-400. Given this number, the companies cannot raise money easily even if they are good because angels run out of funds,due to their prior investments. Exits have not happened for Indian Angel Investors, and as a result Angel fatigue kicks in. Till the eco system matures, and we give them that runway – we need to get more people writing cheques to startups. That’s the only way to get more companies funded, and create value for Investors. One of our visions is to make startup funding easy. LetsVenture has enabled lot of HNI( High Net-worth Individuals) to start investing in Indian Startups. We do currently have 250 Investors across 15 countries, and 400+ startups registered on the platform. HNIs have a lot of passion to come and invest in Indian startups. Without LetsVenture, it’s very difficuilt for the HNIs to fund these companies. Secondly, an entrepreneur is totally at the mercy of the Investor, and usually cannot ask the past investments of the Investors. At LetsVenture, Investors create a mini-investment profile with all the previous investments they have made, areas they have expertise in, areas they can investment in, investment mantra, and angel group affiliations. So, an entrepreneur can check things out before approaching an Investor. This introduces efficiency in the entire fundraising process. Third, any money committed through is still not money in the bank and a strong offline component is required to complete the entire fundraising process. We fill this gap through our ‘Commitment to Closure’ package, which takes care of the Due Diligence and the broad 3-step process in funding( Term sheet, SHA and Closure). 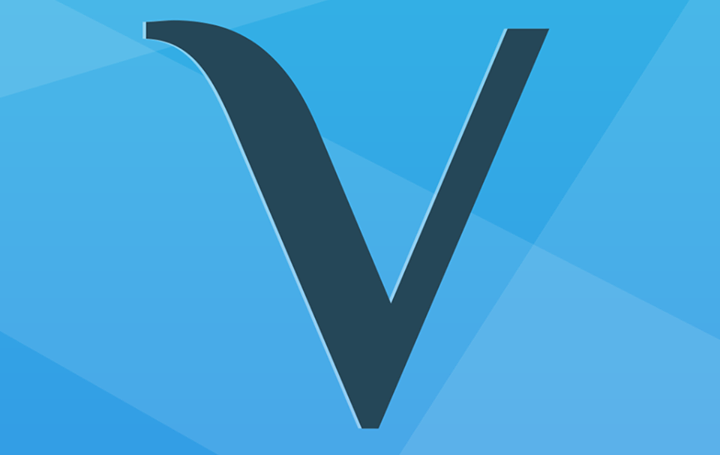 How different is LetsVenture from angel.co? [pullquote]Because it’s primarily US focused, most of the investors are looking for US deals, and the companies typically that discover investors are US Startups. So, why is Indian Startup listed over there? Because, some of the 300 angels use it mostly as a documentation platform for their investment. [/pullquote] Manish: Angel.co is doing a phenomenal job for US economy. There are thousands of startups in angel.co and around 2500 Indian startups are listed in Angel.co. Listing is different from getting funded. So, you already found an investor, before creating an angel.co profile. It’s different at LetsVenture because you may find your first investor through the platform. For the Indian Eco system, that’s the central focus. [pullquote align=”right”]Investors in angel.co are looking for startups which they can fund within their area. Investors are signing up on LetsVenture because they want to invest in Indian Startups. This is a platform for people actively looking to invest in Indian Startups. This is a geographical play and has a local element to the funding platforms. [/pullquote]Shanti: Because of the scale of angel.co, the moment a startup creates a profile and tags an investor who is followed a lot, the profile gets noticed. There is a network effect that’s created on Angel.co. Though the investors are global, there is still a local aspect to the startup, in terms of verification. The first lead investor is mandated to put in $100K, and this investor will do all the face to face meetings and due diligence before funding. People back the investor more than the startup. We have made it very easy for startups. We understand the social aspects and work a lot with investors and startups during the funding process. There are lot of social aspects to getting funded. I personally think, though LetsVenture is a very good listing platform, this is successful because of the credibility of the founding team. Today you know you are going to place which is clean and has high hygiene impact. When is LetsVenture launched and what stage is it in currently? We launched in Private Beta on Sept 9th 2013,where startups and Investors were by invite only. Dec 5th,we moved to Public Beta,where the platform is open for all the Startups and Investors & Experts are by still by Invite only. What has been your biggest challenge / learning in the journey so far? Sanjay: When we started showing the first version of UI to the Investors, we got lot of feedback and had to undergo major changes. [pullquote]We were very scared when we launched the platform. The first few days, not many were coming to the platform and we were worried if people would come. When we opened the syndicate of BlueGape on our platform, all the commitments came in 10 days. That was a huge challenge, to get into a mode where investors and startups are comfortable talking online. [/pullquote] Manish: In some way, we are disrupting the ecosystem in a way it’s sort of entrepreneur backed. That’s the only way to build scale and get the 200 odd companies which are getting funded to 2000, wherever the potential is. That means, a new behavior to be learnt. Investors have to spend time on the platform looking at startup profiles before connecting to them. Today, Investors operate in a different way. It’s still a work in progress and we have a long way to go. [pullquote align=”right”]From the beginning, there are lot of people who told us that this is not going to work. Somewhere, I think we stayed with the course. We knew that, when you are trying to change something in the eco system, you have to believe in it first. [/pullquote] Shanti: I personally think, for all 3 of us, the fear of failure was not there. That’s the biggest learning for me in this journey. We’ve reached a point in life where if things don’t work – it’s ok, we can always shut shop and go home. I don’t want to think 2 years later and think that I did not do what I wanted to do. Challenges are more operational, if you have it in your head , you cannot overcome it. How easy or difficult is it to get Investors signed up on the Platform? Manish: It’s about new thing getting accepted in the market. Initially it was hard, now it’s getting easier. We did a workshop for Angel Investors in Mumbai. Economic Times covered it, and there was a little mention on LetsVenture. A burst of sign-ups happened. When bluegape funding announcement happened, another burst of sign-ups happened. A lot of trust is getting built, that the platform is resulting in real thing happening. Unless we do the offline backing(Commitment to Closure package) ,you cannot guarantee money in the bank for the startup. When those kinds of things happen, it adds credibility to the entire platform. You have to really believe in it to do it. Somewhere, it’s changing the behaviors in the system. Shanti: It’s getting easier as the trust gets built over time.Fund raising is a outbound sales process. Now,it’s becoming inbound with this platform. If an entrepreneur has done a good job with their profile, Investors are looking at it and expressing their interest. So, if an entrepreneur cannot raise funds, entrepreneurs also have to internalize and think through. Tell us about the BlueGape experience. Manish: Usually, in Angel rounds the brand name of the lead investor matters. For BlueGape, the first couple of Investors were relatively unknown and invested because it was related to their line of business. All the other investors talked to Sahil and BlueGape got funded on the platform. It’s a huge change from existing process, where the decision has not based solely on the lead investor. How important is for a startup to get mentors and advisors on board, while reaching out to Investors? Manish: It is extremely important to get advisors on board. They open doors for entrepreneurs with their connections and experience. It should also be noted to get reachable advisors on board who can spare time for the entrepreneurs. When is a good time for startup to raise funds? Manish: Usually any company operates in 4 phases – Ideation, Product-Market Fit, Business Model Fit and Growth Phase. The fund raising strategy of the company should depend on the phase the company is operating in. Entrepreneurs must also consider ecosystem appetite and sensitivities. Identify which phase you are in, what your needs are and do homework to find out Investors who operate with the companies in such phases. Common mistakes we see are, entrepreneurs not reaching out to Investors who invest in their companies of their current stage. Some Entrepreneurs think that an idea can get funded. Proper Due diligence and homework is essential before approaching the funding model. We@TTP think that LetsVenture is definitely the need of the hour and changing the way current fund raising operates is by no means an easy task. Kudos to the team for taking on the challenge and democratizing the fund raising process for startups. So, dear entrepreneur – spend some time, create your profile and get the ball rolling!